Spring time is always so special for so many different reasons – but I’m definitely all for the fresh scents, the flowers and the colour. I wrote a post on Sunday dedicated to my favourite Spring fashion picks, so today I thought I’d talk a little about my top three Spring fragrances this year. 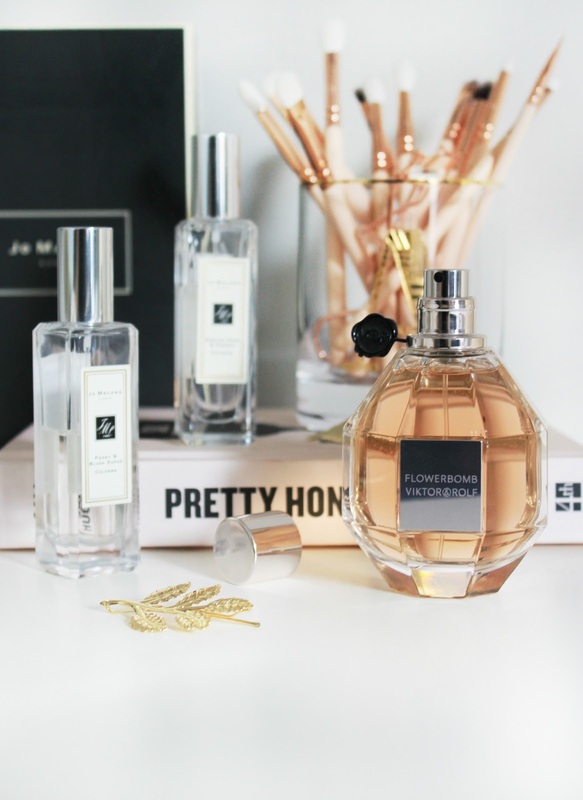 I don’t have an extremely vast perfume collection because I’m very picky when it comes to scent – and these three have ticked all of the boxes so they’re absolute firm favourites. I think fragrance is one of those products that you need to invest in. Usually the more expensive a perfume is, the higher the concentration of the key note ingredients. It also means your scent will usually last a lot longer, and the perfume scent itself will stay true and not change over time (providing that the bottle is kept in the right conditions). All three of the scents that I’m featuring in this post are investments, but they’re ones that I’ve loved for a while and they last really well. I know all three of these are ones that I’d happily purchase over and over again. Firstly – and I’ve mentioned this perfume on my blog before – Viktor & Rolf Flowerbomb is a scent that screams Springtime. It’s extremely floral, as the name suggests, and looks stunning on a dressing table. The notes are centifolia rose, India osmanthus, catleya orchid and sambac jasmine – if you love floral bouquets, you’ll love this fragrance. The other two scents I wanted to mention in this post are both from Jo Malone. 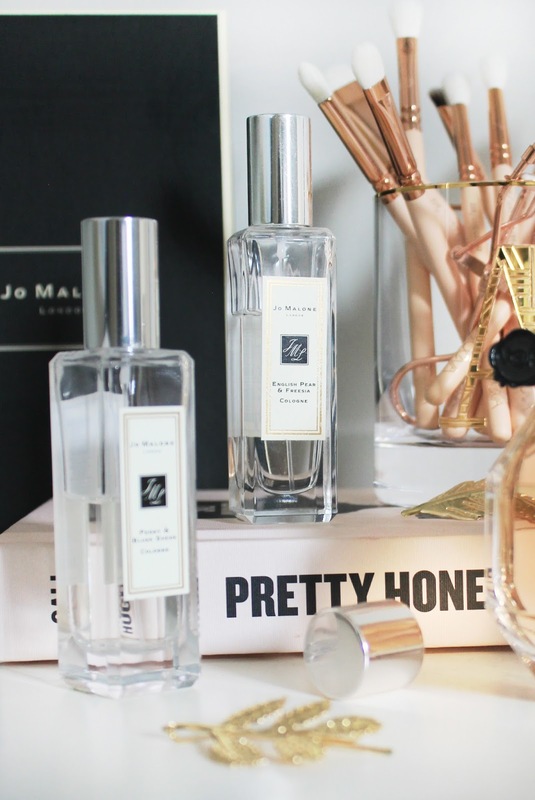 I’ve loved Jo Malone for a couple of years now, and there are some really stand-out scents in their range. They’re all extremely long lasting – I remember spritzing my wrist in duty free and the fragrance still lingering for hours the next day when I landed across the other side of the pond! The two I tend to reach for the most throughout Spring are English Pear & Freesia – a beautifully crisp, fruity scent with a slight floral edge, and Peony & Blush Suede – a softer scent with notes of red apple, jasmine, rose and gillyflower. Both of these are really stunning options for a Springtime fragrance, with flowers, fruits and pretty bottles – they’re just the whole package! What are your favourite Springtime fragrances?